Approximately 78 species of whales, dolphins, and porpoises are included in the Order Cetacea. Cetaceans are broken into two Suborders, or main groups, Mysticeti (baleen whales) and Odontoceti (toothed whales). There are 11 species of baleen whales and 67 species of toothed whales. Cetaceans are relatively large, generally characterized by streamlined bodies that glide easily through the marine environment. Porpoises tend to be smaller but stouter than dolphins. They have small, rounded heads and blunt jaws instead of beaks. While dolphins have a round, bulbous "melon", porpoises do not. Their teeth are spade-shaped, whereas dolphins have conical teeth. In addition, a porpoise's dorsal fin is generally triangular, rather than curved like that of many dolphins and large whales. Some species have small bumps, known as tubercles, on the leading edge of the dorsal fin. The function of these bumps is unknown. 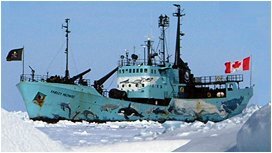 Incidental mortality in fishing gear is the most immediate threat facing porpoises other human activities represent potential dangers to this population. Foremost among these is continued degradation and loss of habitat. 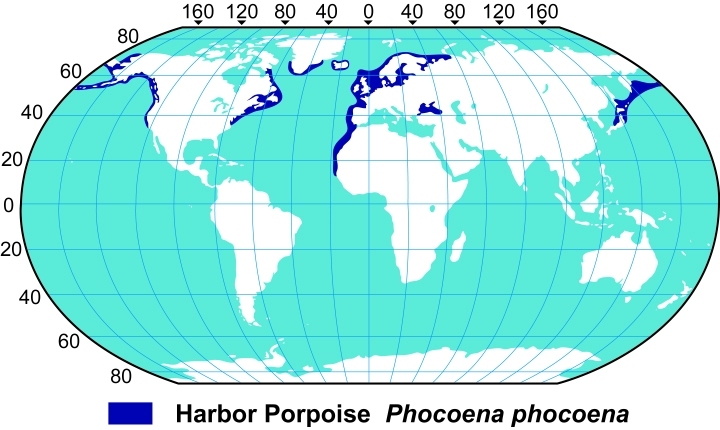 Threats to porpoise habitat may be a direct result of human activities (e.g. porpoises excluded from habitat by coastal development such as salmon farming) or occur indirectly, through the effects of pollution and eutrophication in coastal ecosystems. •Dolphins have cone-shaped teeth while porpoises have flat or spade-shaped teeth. •Dolphins usually have a pronounced “beak,” while porpoises do not have a beak. •Dolphins generally have a very curved or hooked dorsal fin, while porpoises have a triangular dorsal fin. •Porpoises are generally smaller than dolphins.